There is a lot of good marketing advice out there. Some of it is high-level, talking about proven principles and abstract concepts. That kind of advice is essential—you need to learn about strategy and what makes marketing successful in the long-term. But only thinking high-level neglects the short-term. Sometimes, improving your cash flow NOW is what matters. Plus, it’s fun to see revenue jumps in weeks instead of years. 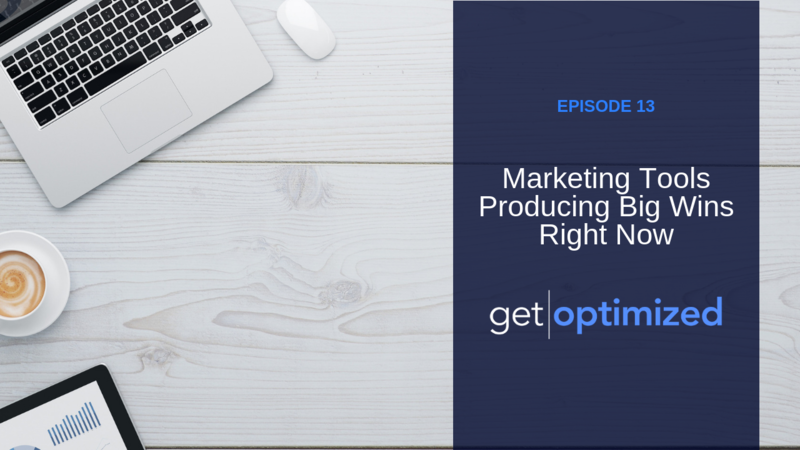 In this episode, you’ll hear about tools which improve marketing and get big wins today. Most of these are almost “Plug and Play” so you won’t have to fuss around with untangling a new software in your busy life.